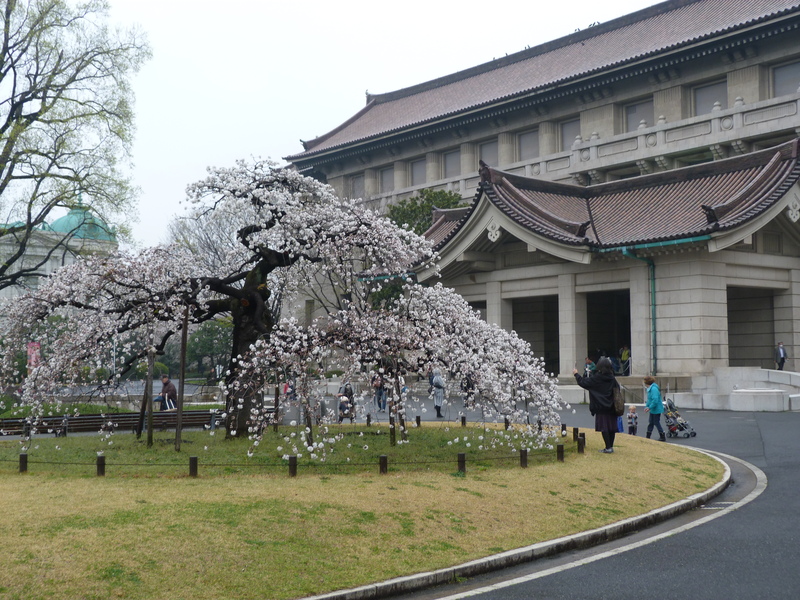 Kitanomaru Park and Imperial Palace East Gardens. This park is just beautiful. Exit at Exit 2 from Kudanshita station on the Toei Subway line and you’ll be hit with blossoms, and their clicking fan club! Oh, I love this park. From now, until late summer there is a burst of colour from the cherries, to the tulips, poppies and cosmos. It also boasts a great children’s area, open field and cycle route. Another one of my favourite parks. The cherries here are just exquisite, as is their setting. 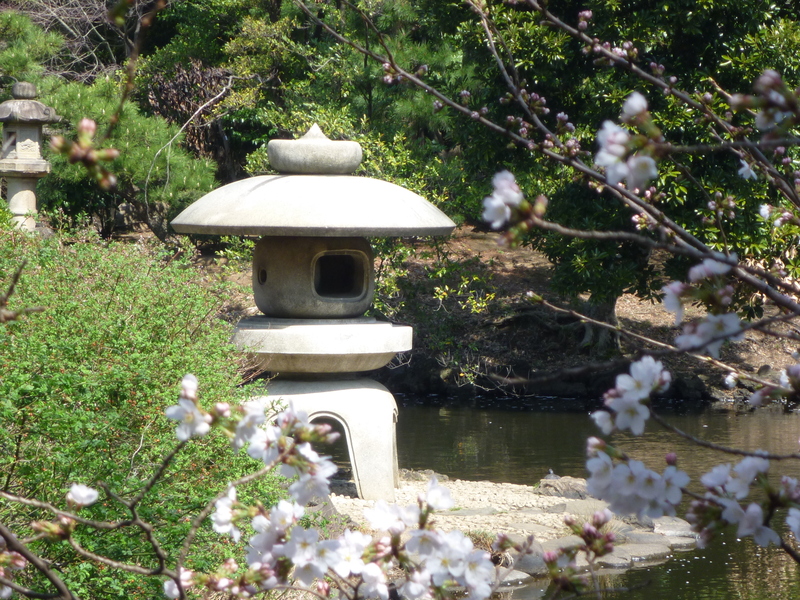 I found this a rather strange place to see the blossoms, but it was quite something to behold. 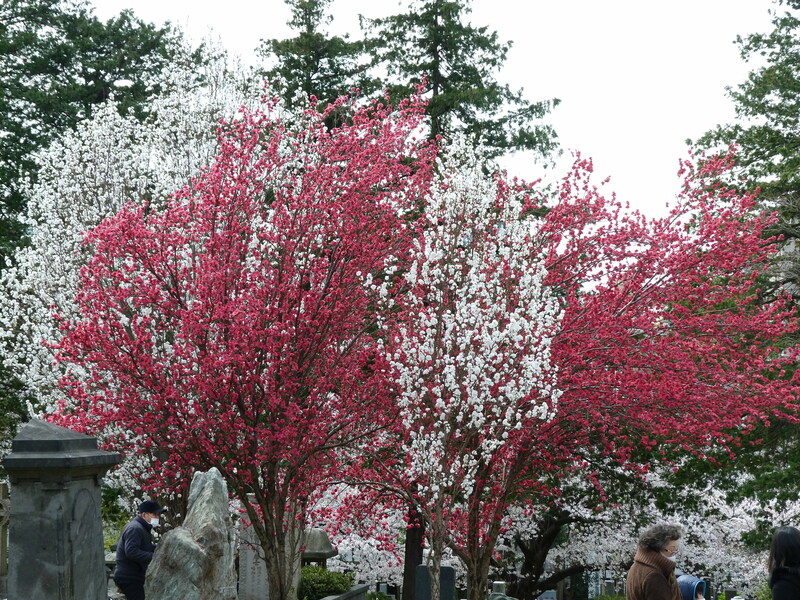 I’m not sure though, whether I was more taken with the blossoms or the lunching people in the cemetery! 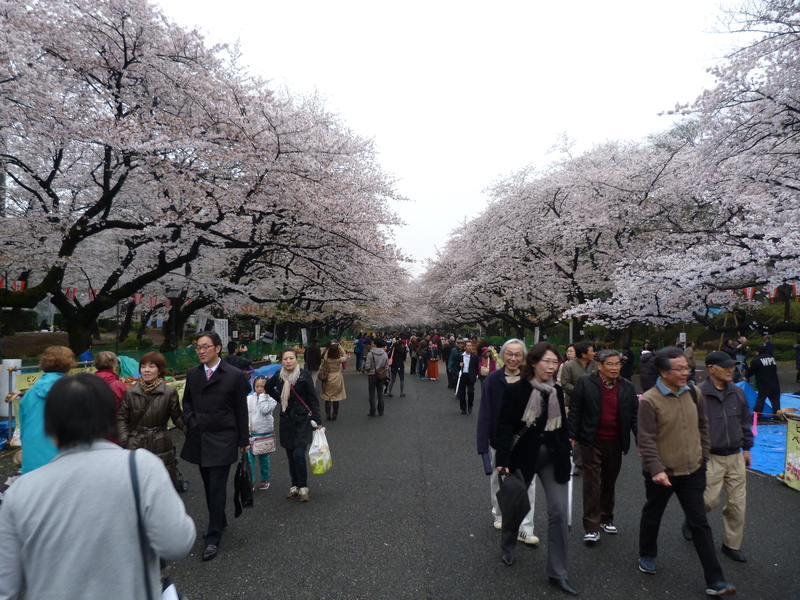 I enjoy visiting Ueno park at sakura season, more to watch all the people sitting along the path enjoying their hanami. Complete with the tradition of removing their shoes when the sit on the tarpaulin! 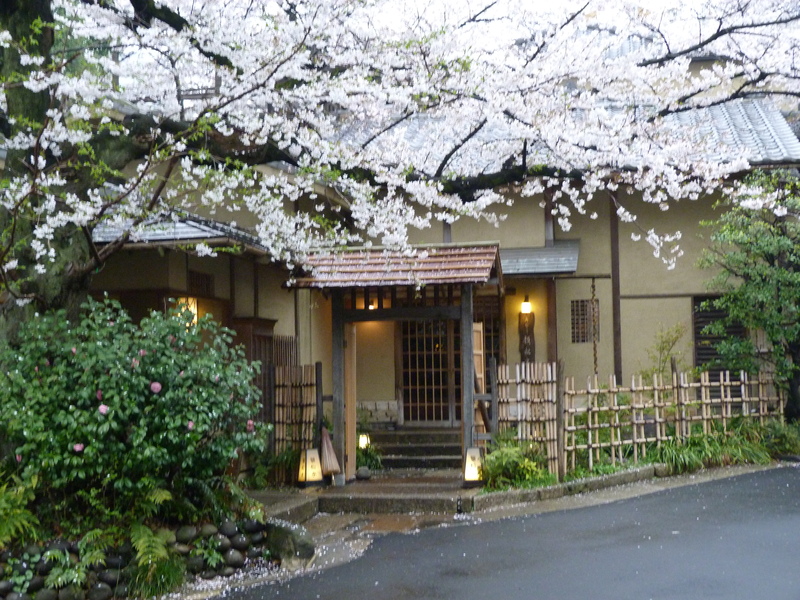 This entry was posted in Good days, Tokyo, Travel and tagged hanami, Japan, sakura, sakura season, sakura symbolism, samurai. Bookmark the permalink. 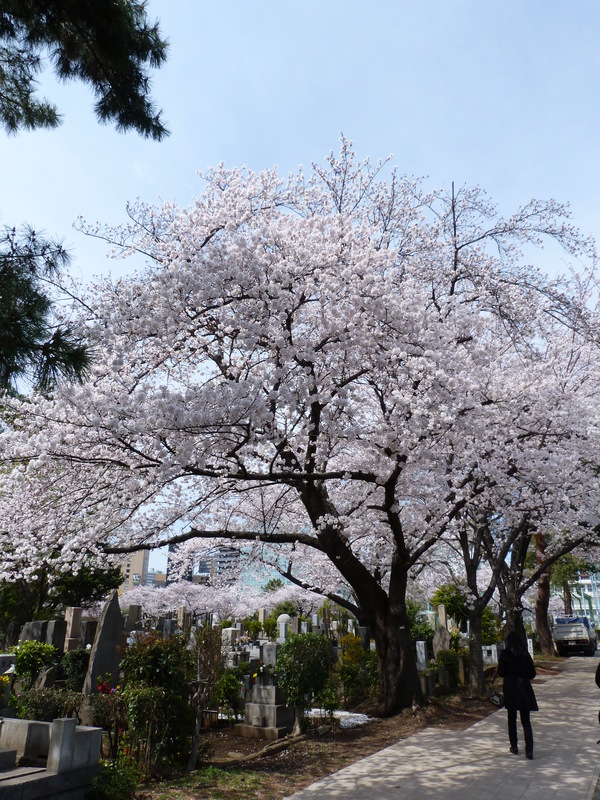 2 Responses to Sakura Season- My 5 Favourite Places to Photograph the blossoms in Tokyo. It’s becoming very pink as each day goes by!